It’s highly likely that you own a vehicle of some kind for personal use, business use, or both. However, if you’re not logging the kilometers but still claim them on your tax form you could end up in a tax dilemma if you get audited. If you aren’t claiming them then you are missing out on being able to write off some of your taxes. These write-offs may result in significant year end savings for your business if claimed properly. 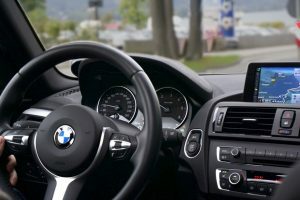 Many Kelowna bookkeepers will tell you that logging kilometers accurately will always help with both keeping an eye on your vehicle to ensure it’s performing properly and help when it comes time to claim taxes. No matter what, it benefits you to log your business vehicle’s kilometers correctly. Here’s how to get started. Log books are not only inexpensive, they can be found in most office/supply stores. Often they are set up in much the same way with sections for odometer, gas prices, notes, etc. If you have maintenance performed somewhat regularly buy one that has the according section for that. If you don’t mind not having a physical version, another option is to get an app that can help you log kilometers. Two options that work on both Android and iOS are MileIQ and TripLog Mileage Tracker. Both are free to use, making your log book one less item to pay for. You must have previously maintained a mileage log for one complete year to establish a base year’s business use of a vehicle. You must have kept this logbook for one complete year in 2009 or a later year. Your business use of your vehicle for the year you are using the simplified logbook must be within 10% of the results of your business use of your vehicle you recorded for the base year. Notice that to do this, you will have to know what your business use percentage was for the particular three month period in the year that you are using as a base year so you can compare it to your new sample year period. Is this still a bit unclear? Not sure if your current situation is affected by this? Kindret Business Solutions can help you organize your records and advise you on the best plans moving forward.